Forever Living Products began its operations in Ireland in 1991, where Rex Maughan purchased the Magheramorne Estate in 2000 as its headquarters; an ideal location to serve an expanding network marketing business throughout Ireland. The network marketing company has won a variety of awards. In 1998, Forever Living achieved 12th place in a national survey of the fastest-growing privately-owned companies, conducted by ‘Real Business’ magazine and Dun & Bradstreet. In 2000, the ‘Independent on Sunday’ named the Company as 15th in its annual list of Top Achievers (18 June 2000). In 2017, Forever was incredibly proud to be awarded silver for ‘Best New Premium Anti-Aging Product 2017’ at the Pure Beauty Awards 2017, for our Infinite by Forever Firming Serum. And in 2018, we won again receiving the ‘highly commended’ award for our Smoothing Exfoliator in the Best New Skincare Treatment category. In 2017, our Aloe Vera Gel was named Health Boost of the Year at the Swedish Health Awards 2017. 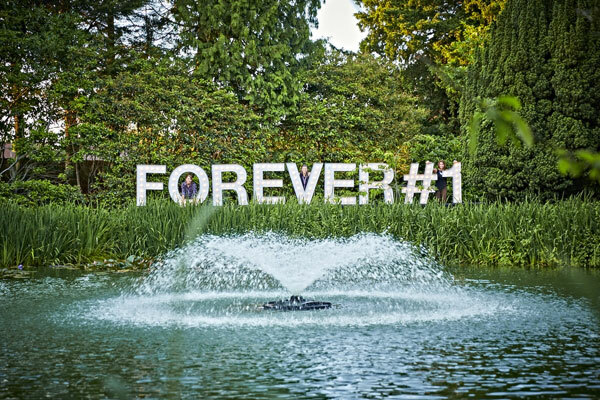 Forever Living UK has grown year-on-year since first trading in 1992 and in 2013 grew by 28%. In May 2014, the UK experienced record sales as we went through the 40,000 Case Credits mark for the first time in our history. Recruitment was up in 2013 by 66% and the Success Showcases recognised 65% more Supervisors and 169% more Managers compared to 2012. We will create a profitable environment where individuals can with dignity be what they want to be: where integrity, empathy and fun are our guides. We will create and cherish a passion for, and belief in, our Company, our products and our industry. We will seek knowledge and balance and above all, we will be courageous as we lead our Company and Forever Business Owners. Availability of the code: Consumers should be able to examine the code, so make sure you have a copy with you when you make a sales visit. Identification: At the start of a sales visit, identify yourself and your company and explain the true purpose of your visit. Privacy: Always respect the consumer's privacy and politely terminate your call if requested to do so. Selling methods: In seeking orders from consumers, always be fair, honest and truthful and remember that consumers have the right to raise with the DSA any concerns they may have. Order cancellation rights: Remember that the DSA code offers all customers the right to cancel any order they may place with you. Vulnerable consumers: Take special care to ensure that you never take advantage of any vulnerable consumer. Customer information: Ensure that your answers to questions are always truthful and accurate and that you refer to your company's membership of the DSA. Order forms: Always ensure that you supply customers with a receipt, in a form provided by your company, which contains their contact details and rights of cancellation. Guarantees: If your company offers a product guarantee, explain its provisions and ensure that the customer is given a copy. Delivery: If you are selling a product which is to be delivered at a later date, tell the customer when they can expect delivery. For more information on the DSA visit www.dsa.org.uk. It is no wonder Forever Living has been re-accredited with these prestigious awards. With a structured training scheme, detailed online eLearning, and a professional Advisory Board - available to all Forever Business Owners, Forever Living prides itself on personal development as the fundamental element to success.